The end of the year is just around the corner, and results for the most popular tourist places from major Internet search engines are being revealed. 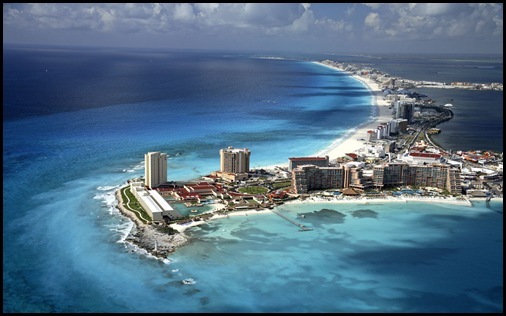 It's no surprise that for a long time, Cancun has been one of the most popular destinations for all types of travelers and budgets, from backpackers to honeymooners. The Cancun Tourism Promotion Board announced that Cancun was the most searched travel destination on Google by Mexicans this year, ahead of Cuba, Europe, and Canada. On the other hand, Yahoo ranked Cancun as third place, since it was categorized internationally for its recreational activities just behind Las Vegas and Miami. Recommend Magazine, on their 13th Annual Readers' Choice Awards, gave Cancun first place as Mexico’s Best Selling Destination for the third year in a row. Through an online poll, Recommend Magazine readers and a thousand travel agents chose our paradise as the best-selling travel place in Mexico. It’s been a challenging year for tourism in Mexico, but we are definitely heading in the right direction and are preparing for a great 2010. Jorge is the Social Media Executive for Yucatan Holidays. He is a travel lover & tennis player living in Cancun. Follow him on Facebook and Twitter to find out the latest travel deals in Cancun & the Riviera Maya.